It’s back to life for investment bankers down under. Merger activity is on track for its busiest year since 2011. Foreign buyers are leading the charge while privatisations have helped to prop up volumes. As corporate confidence picks up, the recovery should be sustained. 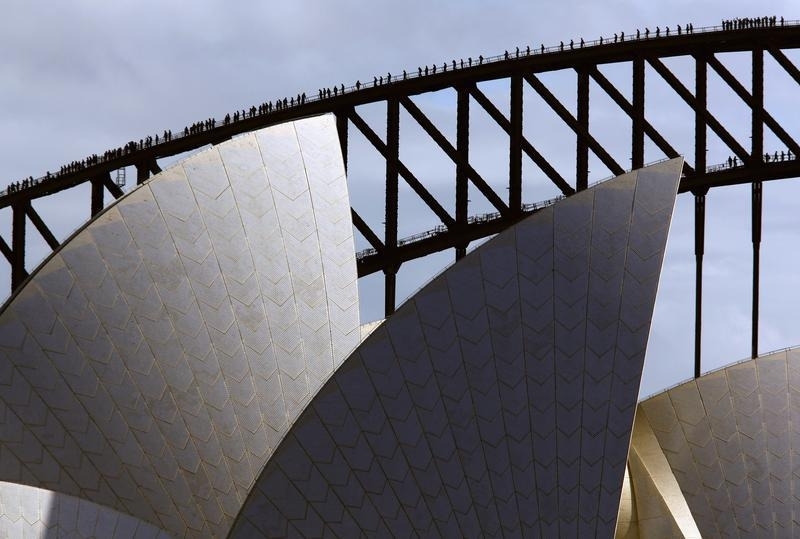 Climbers walk along the arch of the Sydney Harbour Bridge behind the Sydney Opera House May 30, 2014 as they attempt to break the record for the most number of people on the arch of the famous bridge at the same time. Australian mergers and acquisitions are on track for the busiest year since 2011, according to data from Thomson One. Announced deals involving an Australian target have totaled $56.5 billion in the year to July 9. That compares with just $78.5 billion for the whole of 2013 and $124.4 billion in 2011. Cross-border activity involving an Australian target has totaled $28.5 billion in the year to date, 17 percent more than the takeover volume for the whole of last year.